Requirements of stock low volume street engines are much different from high revving, high horsepower race engines. Road race applications are also much different from off road applications. Supersprint treats each situation individually to produce the best possible part for the intended use. Custom road racing applications require hand made, thin wall stainless steel tubing to produce the highest and most useful power from the lightest exhaust system. For demanding off road use Supersprint utilizes heavy gauge steel for resistance against rock and gravel impact. 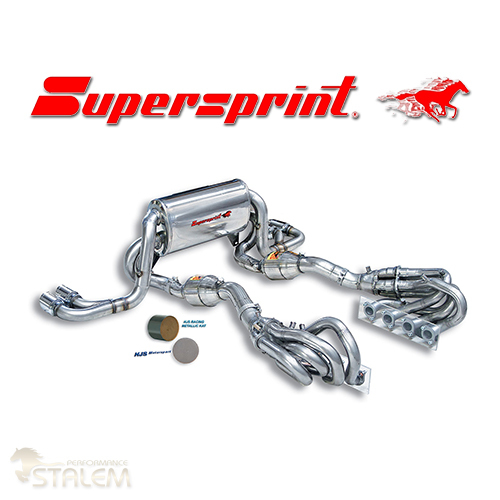 Whether for street or race use, Supersprint researches, designs, tests, and builds exhaust systems for real world power and long lasting, quality construction. 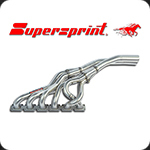 Unlike the countless competitors Supersprint has seen come and go, since 1955, Supersprint does its homework on the dyno, the street and the track. Our extensive knowledge has been earned on thousands of cars around the world. 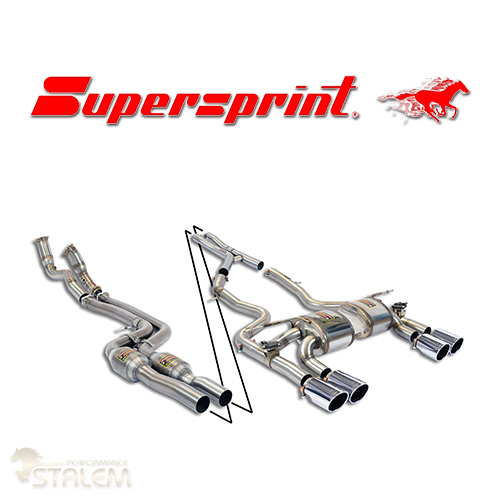 This knowledge provides Supersprint with the uncanny ability to extract power from engines when other exhaust manufacturers can only produce higher noise levels. Supersprint products are developed around scientific knowledge not assumptions. Other manufacturers of exhaust systems are happy with larger diameter tubing, restrictive silencer design, increased noise levels and chrome tips to lure customers. But our commitment to performance and quality prevents such an approach. Instead we at Supersprint design and build around each engine’s performance characteristics. Exhaust flow rates and velocity are dramatically increased by Supersprint designs while still retaining factory OEM diameter tubes. We know it is actually easier to loose horsepower through misuse of larger diameter tubing and badly designed silencers. Each component from header to tailpipe is accurately tuned and suited to each particular engine by Supersprint engineers. A critical balance between lower back pressure level and flow rate must be ensured for optimum performance. When Supersprint develops a system for a new car, hand built prototypes are made and extensively dyno tested, rebuilt and re-tested. Combinations of tubes and perforated cores with outside diameter ranging from 32mm (with 2mm. 3mm, and 5mm increments in size) up to 76mm are utilized for best results. Nothing is assumed. Only modifications that create proven performance in mid-range torque, and top end power increases, qualify for final production. There is no make-do engineering at Supersprint. The quality of a Supersprint exhaust system also includes meeting sound emissions restrictions. All Supersprint street legal systems meet the stringent requirements of TUV testing for quality, design, construction and sound emissions. 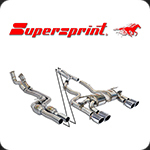 Supersprint recommends the use of complete exhaust systems (header, center & rear muffler) to achieve the highest performance gains. For weekend sport driving sessions at the race track or the occasional club race, catalytic converter replacing silencers and tubes are available for even more performance. These systems carry all gas metering devices just as OEM parts do and can be combined with our straight center tubes (no silencers) for race car sound and performance. 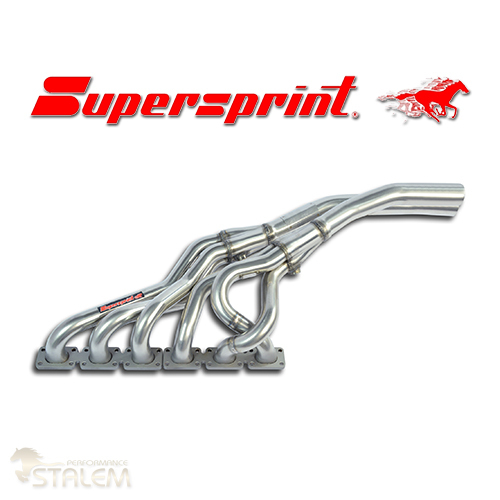 The Supersprint race systems (Group A) with “oversize tubes” are recommended exclusively for use on race cars, or street cars equipped with heavily modified engines (larger engine displacement, extreme cam timing, turbo conversions, and more). These systems are not legal for street use, but can be easily replaced with original parts for everyday driving. CNC machined head flanges, heavy duty 7 to 12 mm thick steel, heat distortion resistent. Stainless steel tubes (for Cat. equipped models), or chrome plated, heavy duty steel tubes, 1,5 mm wall thickness, mandrel bent with CNC bending machines. Head tubes perfectly mated to the engine exhaust ports for smooth gas flow. Length and diameter are tuned to engine displacement and powerband characteristics. Joints between tubes are hand welded. Slide-on type connections are machined to perfect tolerances for leak proof fitting. An oxygen sensor is retained, where present in the OEM exhaust (no modification is needed to the engine management system).